All The Nations Are In Place! This Invasion Could Occur At Any Time! Book handy guide for anyone interested in God’s end-time plan for humanity. 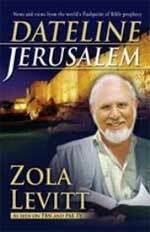 offers Zola’s keen insights into Israel, Christian understanding of the roots of the faith, radical Islam, and media bias. Executive Producer and Script Writer, Chris Pinto, is wrapping up his re-enactments this coming week. He has filmed actors and actresses in a variety of roles, but especially George Washington, Thomas Jefferson, and Pierre L'Enfant. Since C. Fred Kleinknecht -- the 33rd Degree Sovereign Supreme Commander, Supreme Council, 33rd Degree, Mother Council of the World, and Head of Southern Jurisdiction, Washington, D.C. -- endorsed a work by Masonic historian David Ovason, in which Ovason declares that Washington and Jefferson were the guiding lights in the street layout and the buildings of the Capitol, we felt it absolutely imperative to reenact the critical scenes which determined the forming of the renowned Capitol of the United States of America. Mr. Pinto said that the most compelling reenacted scene occurred when President Washington fired the French architect L'Enfant! The fledgling Capitol construction was faced with a crisis which threatened to undo all the Masonic architectural plans. How President Washington solved this crisis is one of the most interesting subplots of the entire history of young America. If you enjoyed Volume I, "The New Atlantis", pictured above, and plan to view Volume II, please take advantage of our Pre-Publication Sale, for you will save $5.00 off the purchase price while we will raise the monies we need to bring this video to market on time. We need to raise $3,500 in the month of October. Again, we reiterate, Volume II will be much stronger and more compelling than Volume I. Even we were shocked to discover all the "hidden mysteries" of the beginnings of America's Capitol, Washington, D.C. Prayer sometimes tarrieth, like a petitioner at the gate, until the King cometh forth to fill her bosom with the blessings which she seeketh. The Lord, when He hath given great faith, has been known to try it by long delayings. He has suffered His servants' voices to echo in their ears as from a brazen sky. They have knocked at the golden gate, but it has remained immovable, as though it were rusted upon its hinges. 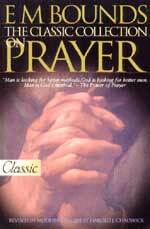 Like Jeremiah, they have cried, "Thou hast covered Thyself with a cloud, that our prayer should not pass through." Thus have true saints continued long in patient waiting without reply, not because their prayers were not vehement, nor because they were unaccepted, but because it so pleased Him who is a Sovereign, and who gives according to His own pleasure. If it pleases Him to bid our patience exercise itself, shall He not do as He wills with His own! Beggars must not be choosers either as to time, place, or form. 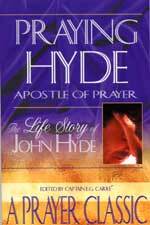 But we must be careful not to take delays in prayer for denials: God's long-dated bills will be punctually honoured; we must not suffer Satan to shake our confidence in the God of truth by pointing to our unanswered prayers. Unanswered petitions are not unheard. God keeps a file for our prayers--they are not blown away by the wind, they are treasured in the King's archives. This is a registry in the court of heaven wherein every prayer is recorded. Tried believer, thy Lord hath a tear-bottle in which the costly drops of sacred grief are put away, and a book in which thy holy groanings are numbered. By-and-by, thy suit shall prevail. Canst thou not be content to wait a little? Will not thy Lord's time be better than thy time? By-and-by He will comfortably appear, to thy soul's joy, and make thee put away the sackcloth and ashes of long waiting, and put on the scarlet and fine linen of full fruition. I. YOUR - OUR - rights, liberties and Constitutional guarantees took a huge blow this week as President Bush cooperated with Republican leadership in both the House and the Senate to pass a draconian bill allowing the President to arrest and torture "terrorist suspects" with almost the impunity he was originally demanding. "The US Senate has passed controversial new guidelines on detaining and prosecuting "war on terror" suspects, over the objections of opponents who say the measure seriously curtails detainees' rights. The laws will allow new military tribunals to be set up to try detainees being held in the Guantanamo Bay prison camp in Cuba, including Australian David Hicks. The Senate vote, which was passed 65 to 34, comes a day after its approval by the House of Representatives." Notice that the Senate vote was almost veto-proof, as 65 of the 100 Senators voted for it. What makes this bill so dangerous to our way of life? After all, the bill was championed by the White House as a necessary tool to fight terrorism. "The measure was drafted in response to a US Supreme Court ruling in June that Mr Bush had overstepped his powers and breached the Geneva Conventions by setting up special war crimes tribunals for terrorism suspects. The sweeping legislation sets guidelines to interrogate suspects and will send several hundred inmates held at the Guantanamo Bay to trial after years of detention." In other words, this bill legalizes the unconstitutional manner in which the Administration intends to arrest, interrogate, try and even execute, its "enemy combatants". Today, those terrorists have the surname "Mohammed", but tomorrow they will have such surnames as Jones and Smith. Never allow anyone to deceive you on this point: average American citizens are the ultimate target, for that is the Illuminati Plan. * The bill allows the Federal Government to "interrogate" prisoners in ways that you and I would find torturous should we be the target -- which one day we shall. Oh, yes, Senator McCain said that the bill adheres to the Geneva Convention and forbids torture, but the reality is best expressed in this one sentence within this above article. The bill "forbids 'cruel and unusual' punishment of detainees, without further clarification of what falls in that category." THAT is a big enough loophole through which you could drive a long-haul truck. Believe me, prisoners will continue to be tortured, as these next segments make pretty plain. * "The draft law authorizes special military tribunals to prosecute the Guantanamo detainees ... Since the opening of the Guantanamo Bay camp after the September 11 terrorist attacks, not one of the several hundred prisoners held there has been afforded a trial." * The bill "allows for secret CIA-run prisons"
* "Detainees will be deprived of all legal recourse to protest the conditions of their detention." This is the outworking of the original Plan of the Illuminati, i.e., to use the terror attack of 9/11 as the excuse to take away our liberties, rights, and privileges -- and to suspend our Constitutional form of government. Since 9/11, Skull & Bones President Bush has fulfilled this Plan to the letter, with the generous assistance of Congress! Democrats opposed to this bill did give lip service to the principles upon which this country was founded. "Most Democrats opposed the administration-backed plan and see it as violating US principles and values by prosecuting terrorists without affording the due process allowed to most defendants in the US criminal justice system. 'We can and must protect what it means to be an American', Democrat Chris Dodd had argued on the Senate floor. 'This longstanding tradition of our country about to be abandoned here is one of the great, great mistakes that I think history will record'." One of the hot facts which people need to understand is that votes in Congress are rigged, as Dr. James Dobson discovered in the mid-1980's (Read NEWS1264, entitled, "MASONIC-LED CONGRESS ACQUITS DEMOLAY CLINTON"). Therefore, these Democrats who voted against this bill did so because they were allowed to cast their vote in that manner. Virtually the entire Congressional leadership of both Houses are firmly in support of the Illuminati Plan. They would not be in office otherwise. This last segment sums the horror up well. "Critics have charged that Mr Bush merely wants legal cover to allow interrogators to continue using 'alternative' methods of questioning that reportedly include a simulated drowning technique known as 'waterboarding', sleep deprivation and subjecting suspects to extreme temperatures. On the Senate floor just before the vote, Senate Minority Leader Harry Reid said he feared that alleged abuse of detainees could continue. 'The President says the United States does not engage in torture ... but this Bill gives the President authority to reinterpret our obligations, and limits judicial oversight of that process, putting our own troops at risk on the battlefield', he said." Listen to the Illuminati Plan so you can see how closely President Bush and Congress are fulfilling the specific parts right now. This is the essence of the inner heart of the Illuminati. 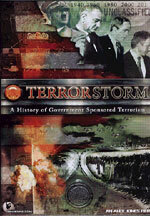 Read our analysis article, posted late September, 2001 -- just days after the attacks of 9/11! NEWS1550, "BITTER FRUITS OF BUSH'S WAR ON TERRORISM -- PROPOSED LOSS OF PERSONAL AND CONSTITUTIONAL FREEDOMS"
II. With the polls contending that the American electorate is increasingly doubtful about President Bush, does this fact guarantee a Republican defeat in these mid-term elections? Don't be too sure. "What could prove to be the most important factor in the 2006 elections is overlooked because it is unseen: The Republicans cannot try to curry favor with a 'silent majority' that favors the Iraq war because a majority of Americans, both vocal and quiet, have come to see the war as a mistake." Beginning in May, 2003, we began to warn that the Illuminati Plan seemed to call for the war in Iraq to be considered -- in the final analysis -- a disaster. Events have taken a very long time to unfold, but we have finally arrived at this point -- most Americans now believe the war is a "mistake". Every day that passes will make more Americans believe that this war was an unmitigated disaster. The Republican spin is getting old. "President Bush's defenders have cast opponents of the war as weak on terrorism. Yesterday, Vice President Cheney accused Democrats of 'resignation and defeatism' ... And blame for the failures in Iraq has fallen not on some liberal coterie supposedly holding our generals back but on the choices of civilians in a conservative administration. Those civilians, and their allies outside the administration, find themselves under increasing fire from leaders of the military and the intelligence services for bad planning, flawed analysis and unrealistic expectations." These anti-war American voters are much different than the protestors of the Vietnam War! "... the tone of the opposition to this war is quite different from the tenor of some sections of the movement against the Vietnam War. Reaction to "hippie protesters," as the phrase went, allowed President Richard Nixon to pit a hardworking, patriotic 'silent majority' -- it was one of the most politically potent phrases of his presidency -- against the privileged, the young and the media, whom his vice president Spiro Agnew memorably characterized as 'effete snobs' and 'nattering nabobs of negativism.."
"As the historian and Nixon biographer Stephen Ambrose noted, tiny minorities -- 'they numbered less than 1 percent of the demonstrators', he wrote of a 1969 rally -- 'waved Viet Cong flags . . . and even burned American flags' and served as 'magnets to the television cameras'. They were used to exemplify an entire movement. "By contrast, critics of the Iraq war, deeply influenced by the post-Sept. 11 climate of national solidarity, have been resolutely patriotic and pro-military ... Among the most visible critics of the administration's approach have been generals, vets, parents with sons and daughters in the military, and foreign policy realists who think of themselves as moderate or even conservative opponents of what they see as the administration's radical direction." As a matter of fact, the American voter may be a bit more perceptive than President Bush is giving them credit! "WASHINGTON (AP) — President Bush and Republicans want to convince voters the unpopular Iraq war is central in the anti-terror fight. Democrats argue they can win control of Congress if voters view Iraq — and the continued bloodshed there — on its own. The latest Associated Press-Ipsos poll found Republicans haven’t made their case despite a sustained effort to link the conflicts; a majority of the public views the two as distinct." How about that revelation? American citizens have managed to see right through the phony White House story that we needed to fight the war in Iraq in order to better protect American cities from terrorist attack. Bush's insistence that he was fighting domestic terror by waging war in Iraq is similar to the lie President Lyndon Johnson told repeatedly about the Vietnam War. Do you remember? "This war is the right war against the right enemy at the right time". President Johnson was trying to convince the American people that he was going to make America safer from the Communist devil by fighting him in Vietnam rather than in Central America, on the very borders of America. Just as that line turned out to be a lie, so is President Bush's similar line. For the first time in modern politics, the foreign policies of a sitting President are driving middle-American voters a very long distance away from White House policies. For this reason, the declassification of a National Intelligence Estimate on Iraq "is especially troublesome for Republican electoral chances. By finding that the war in Iraq has encouraged global terrorism and spawned a new generation of Islamic radicals, the report by 16 government intelligence services undercuts the administration's central argument that the Iraq war has made the United States safer." A great deal of Mass Media press was given to this highly censored intelligence report which flatly contradicted one of the major anchors upon President Bush, VP Cheney and all their "merry men" had based this useless war called Iraq. Let us go there right now, and review several pertinent news stories on this most important subject. III. President Bush may have shot himself in his foot when he authorized the release of most of a classified report which should embarrass him greatly, for even its censored form flatly contradicted his major claims that we invaded Iraq in order to make America safer from terrorism. "The Iraq war is fueling a growing threat of global terrorism and 'shaping a new generation of terrorist leaders', according to a report from U.S. intelligence agencies that President Bush ordered declassified on Tuesday. The grim analysis offers little reason for optimism over the next five years ... Islamic extremists are growing 'in both number and geographic dispersion', that new radical threats are emerging and that terrorist attacks are likely to increase. It also says that Iraq has become a training ground for terrorists and a recruitment tool for extremists around the world. "The Iraq conflict has become the `cause celebre' for jihadists, breeding a deep resentment of U.S. involvement in the Muslim world and cultivating supporters for the global jihadist movement," the report says. " "Former President Jimmy Carter said Wednesday major policy changes are needed because the Iraq war has divided the nation "almost as much as Vietnam. So there's no doubt that our country is in much more danger now from terrorism than it would have been if we would have done what we should have done and stayed in Afghanistan." Today, both Afghanistan and Iraq are writhing in the death throes of Depleted Uranium poisoning, a subject to which we shall return later. Former President Carter jumped on the anti-Rumsfeld bandwagon, right with the retired generals who spoke out last week. All these men now attacking President Bush are as committed to the Global Plan as is the President. 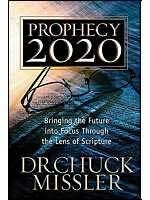 Therefore, we are most definitely looking at the outworking of a Plan -- in this case, bringing down this President so the principle of National Sovereignty could be abolished and so that Fundamental, Bible-believing Christians can be thoroughly discredited -- even to the point of persecution. Now, let us hear from another committed Globalist, as he criticizes Bush. "WASHINGTON (Reuters) - The conduct of the Iraq war fueled Islamic fundamentalism across the globe and created more enemies for the United States, a retired U.S. Army general who served in the conflict said on Monday. The views of retired Army Maj. Gen. John Batiste buttressed an assessment by U.S. intelligence agencies, which intelligence officials said concluded the war had inspired Islamist extremists and made the militant movement more dangerous." "The Iraq conflict, which began in March 2003, made 'America arguably less safe now than it was on September 11, 2001', Batiste, who commanded the 1st Infantry Division in Iraq in 2004-2005, told a hearing on the war called by U.S. Senate Democrats. 'If we had seriously laid out and considered the full range of requirements for the war in Iraq, we would likely have taken a different course of action that would have maintained a clear focus on our main effort in Afghanistan, not fueled Islamic fundamentalism across the globe, and not created more enemies than there were insurgents', Batiste said." This retired general was one of the several retired senior officers who called for Rumsfeld's resignation. As with the attacks of 9/11, any treatment of the disaster in Iraq which does not recognize that the Bilderberger Meeting of 1954 planned America's attack against Iraq is seriously flawed. Former Satanist Bill Schnoebelen told me that he had been told this fact while he was still in the coven. III. Before we leave this discussion of how Bush's policies might affect the mid-term elections of 2006, let us address the issue, once again, of voting manipulation by government officials. When key members of government and Mass Media began the mantra that the best way to avoid the "hanging chad" debacle during the 2000 Florida Presidential Campaign was to go to electronic voting machines, the Cutting Edge Webmaster called me. He said that the best and easiest way in which to really control the outcome of an election was through electronic voting machines! Once results from a precinct are sent into "Cyber Space", there was no way to know if the results were truthful. Election stealing would become routine once electronic voting machines began to be used on a wide-spread basis. Obviously, there is no paper trail. Now, let us review our current articles on this subject. "Now why do you suppose the Republicans, who claim to be so worried that the Democrats will retake Congress in November, think that continuing the killing of Americans and Iraqis is their key to victory? Because their worries are a sham; they make cheap for copy to fill the spaces between the ads in newspapers and the commercials on so-called TV and radio "news." It's all a game, a sick, sick game that can't get much sicker. The Republicans control the easily rigged touch screens and optical scanners most Americans will use to cast their votes on. The GOP is utterly contemptuous of the American people and what the people thought was their democratic republic. And the Democrats are not much better. Do American have to have feces rubbed in their faces before they grasp what is going on?" "He who votes counts for nothing, but he who counts the votes counts for everything." For a full treatise as to how easy it is for government officials to steal elections nowadays, read our treatise in NEWS1976, "ELECTRONIC VOTING MACHINES POSE A REAL AND PRESENT DANGER TO THE AMERICAN REPRESENTATIVE REPUBLIC"
Let us now examine the startling conclusion of one researcher, as he studied to determine if, and then how, the Republicans manipulated the votes in 2004 to cause President Bush to win reelection. "... the exit polls and corollary indicators (high turnout, low approval ratings) were right. All knowledgeable observers understood it; Tony Blair went to bed believing that Kerry had won. Even George Bush understood it. Our source indicates he was furious because he had been assured that he would win; he may have not understood, or forgotten, or been temporarily confused that he was going to win*despite* the exit polls and corollary indicators, indeed despite how people cast their ballots ... his political operative Karl Rove calmly assured him everything would be okay." So, how did the President's political operatives steal this election? "... they did not steal it fair and square. Rather, that even by the rules of the game, which amount to something like a hockey game played on a 10 degree incline; Bush & company still couldn’t win; and that had the votes been properly counted, Kerry would have won the presidency with something on the order of a five million vote plurality. In short, the official count is off by something on the order of nine million votes!" The only way in Democrats can win control of the House and Senate this year is if the Plan calls for them to win. In the past, whenever the Plan for the next four years is primarily Domestic, Democrats win the election; but, if the Plan calls for the emphasis to be on Foreign Affairs, the Republicans sweep to power. Which will it be in this election? We can only wait to see. IV. The hideous face of the death caused by Depleted Uranium poisoning is raising its head in yet another way -- Pandemic Diabetes! You probably will be surprised to learn how long governments of the world have been polluting the earth. "The global pandemic of diabetes which is increasing each year, began with the atomic bombs dropped on Hiroshima and Nagasaki in 1945. The resulting global atmospheric pollution has resulted in a diabetes pandemic caused by hundreds of thousands of pounds of vaporized depleted uranium used in atomic and hydrogen bombs as "tamping", fission products from nuclear power plants, and the illegal use of depleted uranium radioactive poison gas weapons introduced to the battlefield by the US in 1991. Iraq, Yugoslavia, Afghanistan, and now Lebanon are now uninhabitable." This latter point was clearly driven home to me by that medical doctor with the military of a modern Middle Eastern country, when she called me in May, 2003, to warn me of the awful dangers posed by Depleted Uranium munitions which Coalition Forces were unleashing in Iraq -- and which American forces had already been unleashing in Afghanistan. This medical doctor told me that, in no more than 20 years, Afghanistan and Iraq would be uninhabitable. The soil, the water, the air, and the food supply would all be tainted with D.U. poisoning and the slow process of population-wide death would inevitably run its course. According to this author, above, these countries are arriving at this "uninhabitable" state already. 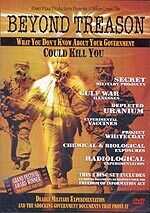 "Depleted uranium is being used to carry out an illegal nuclear war against countries with mineral resources .... The huge global increase in diabetes between 1996-97 is indicative of a global environmental event. Now we know why Rhodes Scholar President Clinton was grid bombing and carpet bombing in Iraq in the NO-FLY-ZONES for ten years. Grid bombing and carpet bombing is carried out for the sole purpose of terrain contamination." "Terrain Contamination" -- the more D.U. munitions we explode, the more this poisoned dust flies around the world. Right now, nearly one billion people in the Non-Integrating Nations of the Middle East are daily breathing this tainted dust; but the time is arriving when we all will begin to breathe this poisoned D.U. dust. Can you see the Population Reduction inherent in Seals Two, Three, and Four in Revelation 6? I clearly believe Depleted Uranium poisoning will mature into the kind of population-wide killer foretold in these Seal Judgments? V. As the furor over Pope Benedict's disparaging comments about the Prophet Muhammed continues, the Pope begins to make religious unity sounds. Is this angry confrontation going to result in bringing the world's religions together in the prophesied One World Religion? "VATICAN CITY, September 22, 2006 - Pope Benedict XVI has invited Muslim envoys to meet with him at his summer residence Monday for what the Holy See says is urgently needed dialogue following the crisis ignited by his remarks on Islam and violence. Turkey and Iran immediately said their representatives would attend." If the hardline governments of Turkey and Iran committed to meet with the Pope on this issue, that is hot news! Iran, especially, sees her current role as leading the way for the Islamic Messiah, the Imam Mahdi, to appear. If Iran sends representatives, that means hardline Muslims are interested in dialogue with the Pontiff on this issue. Note that, at this moment, the One World Religion prophesied in Revelation 13:11-18 will have been born, with the Roman Catholic Pope as the top religious leader! This new understanding means that the Pope will be the False Prophet of the coming One World Religion, which is fitting, because Revelation 13:11 says he will pretend to be a Christian and be accepted as such, i.e., will have "two horns like a lamb". 2) The False Prophet will be of the same mindset and will share the same goals as Antichrist. With this latter concept in mind, let us now go back to the next important revelation from this House of Theosophy Seminar. I then tried again to get Bill to state that one of the leaders of the world's religion would step forward to play the role of the Biblical False Prophet. I said, 'Back to the Pope for a moment, Bill. You stated that, at the right moment, the Pope would go to Jerusalem. Surely the Pope is a proper receptor to the Christ'. 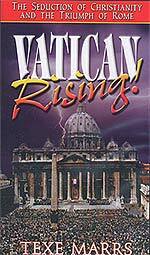 At this point, Bill nodded his head affirmatively that the Pope was a proper receptor to the Christ." Now that we know the Illuminati plans for the Roman Catholic Pope -- whomever he is at the "proper time" -- to be the foretold False Prophet, we can understand how important it is for the Roman Catholic Church and Islam to reach a close accommodation. What better way to accomplish this plan than a deliberately staged battle between the leaders of these two major world religions? Out of the Controlled Conflict can come the Controlled Change, the very heart and soul of the Dialectic Struggle. "Thousands of Muslim worshippers staged marches against Benedict in Jerusalem, the West Bank, Gaza and the Sudanese capital on Friday. The Palestinian protesters waved green Hamas banners and denounced the pontiff as a 'coward' and an 'agent of the Americans' ... The Vatican announced the pope's invitations Friday, saying they were extended to ambassadors to the Holy See from largely Muslim countries for a meeting at the papal palace at Castel Gandolfo, near Rome. Leaders of the Muslim community in Italy, who have advised the Italian government on politically delicate issues of Muslim integration in the largely Catholic country, also were invited ... The invitation "will help clear the field of misunderstandings," Indonesia's ambassador, Bambang Prayitno, told the Apcom news agency. 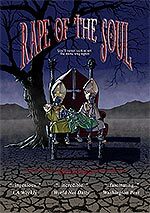 "Vatican Radio described the meeting as an "appointment totally dedicated to the urgency for dialogue today, between the cultures and religions of all the world, as Benedict XVI has repeatedly reiterated." "Pope Benedict XVI told Muslim diplomats Monday that "our future" depends on good relations between Christians and Muslims as he sought to put to rest anger over his recent remarks about Islam and violence ... The pontiff also quoted from his predecessor, John Paul II, who had close relations with the Muslim world, calling for 'reciprocity in all fields', including religious freedom. Benedict spoke in French to a roomful of diplomats from 21 countries and the Arab League in his summer residence in Castel Gandolfo near Rome." "After his five-minute speech, in a salon in the papal palace in the Alban Hills, Benedict, greeted each envoy one by one. He clasped their hands warmly and chatted for a few moments with each of the diplomats ... 'The Holy Father stated his profound respect for Islam. This is what we were expecting', said Iraqi envoy Albert Edward Ismail Yelda as he left the half-hour long meeting. 'It is now time to put what happened behind and build bridges'." With so many other prophecies relating to the End of the Age and the appearance of Antichrist on to the world scene taking shape, it seems logical that the time has come to "build bridges" between the 1.2 billion Roman Catholics and the 1.4 billion Muslims. As this conflict over the Pope's remarks gradually unfolded, the Ecumenism of the entire affair became more and more apparent. The New World Order Religion may have just taken a "paradigm shift" forward! VI. Will the Bush Administration carry out an "October Surprise" to "guarantee" Republican success in this Fall Election? "According to two conservative websites, White House political strategist Karl Rove has been promising GOP insiders that there will be an 'October surprise' before the midterm elections. "In the past week, Karl Rove has been promising Republican insiders an 'October surprise' to help win the November congressional elections," reports Ronald Kessler for Newsmax ... A few weeks ago, another conservative publication, The American Spectator, reported that White House staffers had 'been talking up the possibilities of an 'October Surprise' or two leading into the mid-term elections." In the past, the term, "October Surprise" always meant that the incumbent President would engineer a foreign crisis using the powers of his Presidency, so that the voters would do what voters always seem to do during a time of national crisis, i.e., support the incumbent President. The best "guess-timate " is that the President will engineer some sort of crisis with Iran just before the election. While this is certainly possible, we have heard this line before, haven't we? Let us go back to October, 2004, just weeks before the Presidential election between Bush and Kerry, quoting segments from our NEWS1973. "NEWS BRIEF: "A Bush pre-election strike on Iran? White House insiders report 'October Surprise' imminent", Global Research On Globalization, by Wayne Madsen, 23 October 2004, Carried On Daily News Updates 10/26/04. 5) The Bush Administration has been huffing and puffing war against Iran since April, 2003; reports circulated constantly that an attack on Iran was "imminent". Therefore, since we believe that the end of the plan is close, we do not believe the current government will be brought down." Cutting Edge was right then, and we would really be surprised if President Bush orders an attack on Iran in October in order to sway voters as they go to the election polls. Many times, when a propaganda ploy works one time, it is used again at a later time. People have such short memories; in fact, remember what Adolf Hitler said about people's minds? "What luck for rulers that people do not think"! * "New Middle East War Imminent? Iran Is Said To Be Preparing To Ignite Yet Another Fire In The Region, To Combat The U.S. War In Iraq", Turkey is said to be preparing to launch a coordinated attack with Iran, in northern Kurdistan. If this war gets underway, and if Turkey and Iran are allies, the prophetic fulfillment of Ezekiel 38-39 will undoubtedly be enhanced, because both nations are prophesied to march with Russia at the End of the Age against Israel. If this war occurs, two more of the nations prophesied marching with Russian-led forces against Israel will have joined forces. Turkey's movement away from being Pro-West to Hardline Islam has taken decades and has been a struggle; but today, that transformation is complete. 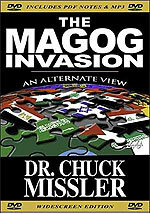 Can you hear the movement of military forces against Israel just as Ezekiel 38-39 foretold? Mourning Christian! why weepest thou? Art thou mourning over thine own corruptions? Look to thy perfect Lord, and remember, thou art complete in Him; thou art in God's sight as perfect as if thou hadst never sinned; nay, more than that, the Lord our Righteousness hath put a divine garment upon thee, so that thou hast more than the righteousness of man--thou hast the righteousness of God. O Thou who art mourning by reason of inbred sin and depravity, remember, none of thy sins can condemn thee. Thou hast learned to hate sin; but thou hast learned also to know that sin is not thine--it was laid upon Christ's head. Thy standing is not in thyself--it is in Christ; thine acceptance is not in thyself, but in thy Lord; thou art as much accepted of God to-day, with all thy sinfulness, as thou wilt be when thou standest before His throne, free from all corruption. O, I beseech thee, lay hold on this precious thought, perfection in Christ! For thou art "complete in Him." With thy Saviour's garment on, thou art holy as the Holy one. "Who is he that condemneth? It is Christ that died, yea rather, that is risen again, who is even at the right hand of God, who also maketh intercession for us." Christian, let thy heart rejoice, for thou art "accepted in the beloved"--what hast thou to fear? Let thy face ever wear a smile; live near thy Master; live in the suburbs of the Celestial City; for soon, when thy time has come, thou shalt rise up where thy Jesus sits, and reign at His right hand; and all this because the divine Lord "was made to be sin for us, who knew no sin; that we might be made the righteousness of God in Him." 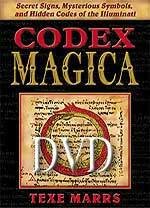 SEE incredible things in this documentary that aren’t found in Texe’s bestselling, new exposé book, "Codex Magica". Includes hundreds of mind-boggling color photographs and film of Illuminati symbols, logos, signs, art, and architecture. Discover the occult secrets of Washington, D.C. monuments, and the Denver, Colorado, airport, the Bohemian Grove witchcraft cult, the Britney Spears-Madonna "lesbian" kiss on TV, and much, much more. 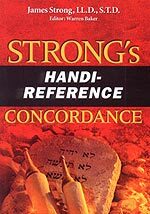 Strong's Bible Concordance -- Handi-Reference Edition - Only $9.99! An incredible retail price breakthrough! 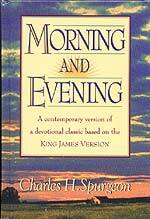 The single most beloved, most useful Bible word study now only $9.99! 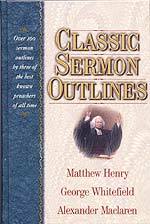 1) Alphabetical lising of key words in the Bible; 2) Easy-to-read font type; 3) Words of Jesus in BOLD for easy identification; 4) Printed thumb index tabs to help you find words more quickly; 5) Index of Proper Names listing all the proper names in the Bible along with a pronunciation guide. Bible measures a full 8 1/2" x 11", compared to usual full-size Bible of 6 1/2" x 10"
Most Effective Prayer Warrior In Modern History! Has the time arrived for Biblical Resistance? Bible tells us when to resist authorities and when to obey. At this time, close to the appearance of Antichrist, Personal Timidity + Biblical Ignorance, may prove spritually fatal to a great many Christians. 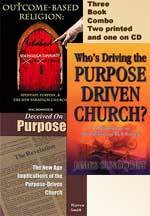 Is The Purpose Driven Church The "Laodicean Church" of Rev 3? Are you caught up in it? 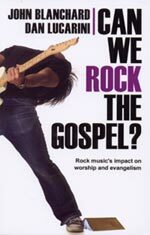 How to recognize this church infiltrating your church, Biblical basis for resistance and how to resist.